Happy Saints: New Liturgical Year Soon! it's time to get next year's Liturgical Calendar! 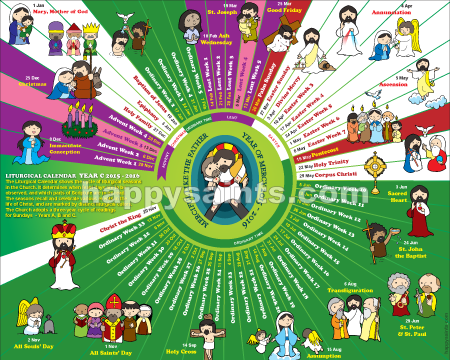 Happy Saints Liturgical Calendar 2016 features upcoming Liturgical Calendar (Year C), illustrated with new Happy Saints Artworks, with a Year of Mercy logo centerpiece!